Rule #1: Beer before liquor will make you sicker. Rule #2: Don’t overdo hair of the dog. Rule #3: Learn how to secretly piss yourself in public. Rule #4: Food is your friend. Rule #5: The sun is not your friend. Rule #6: Short skinny guys need to pay more attention to these rules than large bear-men. Rule #7: No, you can’t drink in an Uber. Rule #8: Drinking in moderation is good for you. Rule #9: When at the bar, keep a tab open. Rule #10: And tip appropriately! Rule #11: Avoid vodka at all costs. Rule #12: Order your drinks neat, or you’ll get fat. 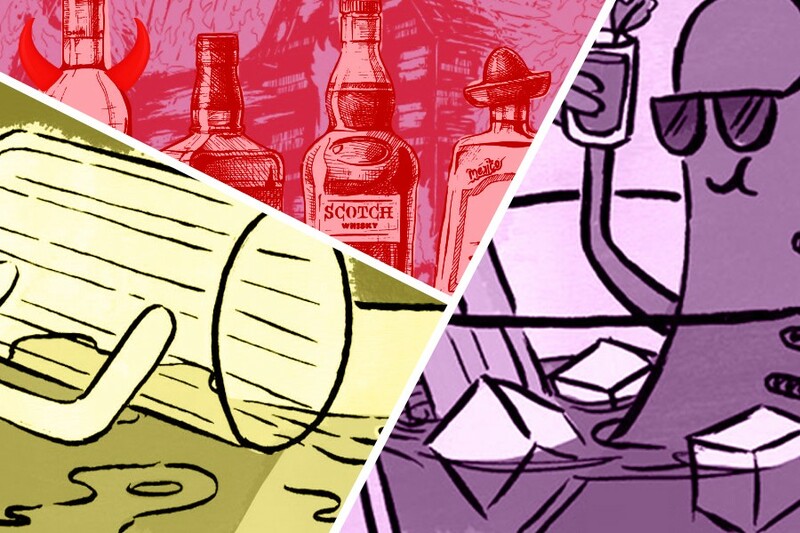 Rule #13: Booze early — you’ll sleep better. Rule #14: Stick to top-shelf booze. Rule #15: Avoid drugs and hard liquor if you’re prone to blacking out.